7 Вт⋅ч литий-ион., 3.82 В, 1810 мА*ч, время разговора в сети 3G (сведения производителя): 14 час., время ожидания в сети 3G (сведения производителя): 250 час. Время перемен. Новый смартфон Apple почти полностью соответствует ожиданиям поклонников. Он стал быстрее, современнее и тоньше. Однако, некоторые досадные мелочи всё же могут испортить аппетит потенциального покупателя. The iPhone 7 improves on the iPhone 6 on every level. 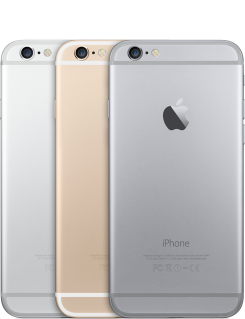 The iPhone 6 was eclipsed by the iPhone 6S, and we reckon it's now a little long in the tooth. Prices start at around £449 for a lowly 16GB model, but for the extra money you're probably better off plumping for the entry-level iPhone 7. From a purely practical perspective, we’re – – most impressed with 3D Touch and all the potential that comes with it, but also with Live Photos and 4K video, which looks a lot better than 1080p. If money is not an issue, these are indeed meaningful improvements across the board with the iPhone 6s, so you have a good enough reason to upgrade from the 6. Gamers should also be excited about the A9 and 3D Touch in games. For all the rest that are looking for a more practical reason to upgrade (rose gold does not count) and are more or less on budget, we'd say you'll be perfectly OK if you just stick with the iPhone 6 for another year. Should you buy the new iPhone 6s or stick with last year's model? We'll be spending more time with the iPhone 6s over the coming weeks, but there's no doubt that the introduction of 3D Touch, a faster processor and a better camera makes it a pretty significant update, particularly if you get the new Rose Gold model. That said, if you've already got the iPhone 6 it's well worth considering whether you really need those extra features, as it's no small investment. Based on the spec and our impression of the OnePlus Two, we can see why it’s been branded the 2016 flagship killer, especially with a sub-£300 price tag. It can compete with features and specs of smartphones twice the price, which makes it great value for money. But which is ultimately better? It’s down to personal preference, as both excel in different areas. The iPhone is arguably the better looking of the two devices, with its slimmer and lighter form factor, but the camera and display of the OnePlus Two blow’s the iPhone away. Both LG G4 and Apple iPhone 6 are great choices for a flagship device. The design of both phones is great, even though each manufacturer has used different materials in the construction. Purely looking at the specs, features and hardware of each phone, the G4 outshines the iPhone 6, but as it seems this isn’t always the case, especially if Apple is involved. We can’t give you an exact science regarding the “right” choice between these phones, but we can help you decide what suits you best. If you are a power user, who likes being able to control almost everything on their device, or just really enjoys having various features, go with the G4. You also get a removable back cover, so if your daily life includes a lot of traveling and not many opportunities to charge your phone, you can just make a quick swap. These two phones are more closely matched than ever before. Although it's more expensive, the Galaxy S6 is the better smartphone here thanks to its extra storage, impressive Quad HD screen, awesome camera and extra gadgets like the IR blaster and heart rate monitor. A big factor here is software, though, so if you don't want Android then the iPhone 6 is the phone for you. Both smartphones have great-looking premium design, good displays and high performance. Which comes on top is up to the users themselves. Samsung Galaxy S6 has a slight advantage over the Apple iPhone 6 in the hardware department, but Apple’s device makes up for it with its software optimizations. Both devices are fluid and you won’t go wrong choosing either one of them. If you want to be able to tweak almost everything, go with the Galaxy S6. If you like things simple, where everything is organized, easily accessible and easier to use, and you want your device to be just as fast and responsive in a couple of years’ time, go with the iPhone 6. LG G4 vs iPhone 6 comparison: The best phone of 2015 - but should you buy the LG G4 or the iPhone 6? Overall we're quite surprised to see that the iPhone 6 and LG G4 are reasonably evenly matched in a way. They both have stand-out features as well as downfalls, so it's going to be a case of weighing up the features you consider to be most important in a smartphone. For example, if you want an exceptionally good camera or enjoy taking lots of selfies you might want to opt for the LG G4, but for a slimmer, more compact smartphone you'll be better off choosing the iPhone 6. Which one should you choose? It’s a lot about your preference when it comes to software platform, but the LG G4 is one of the best Android phones you can get at the moment, and probably the best phablet, while the iPhone 6 will still carry more appeal for gamers with its stellar catalog, as well as causal users who count on its “just works” approach. If those nuances are not all that important, though, you can stay assured that both phones are great in most other aspects. Though we are early on with our own testing, GameBench is promising a revolution in the way we test and compare the gaming and graphics performance of mobile devices like smartphones and tablets. It is a welcome change – synthetic tests are fun to look at and to compare numbers but they were never very representative of what real-world experiences users see on their own devices. Synthetics still have a place to set expectations for hardware and to allow us to compare processor capabilities, but I am looking forward to adding GameBench to our standard suite of benchmarks for upcoming phone and tablet reviews. Having picked up just one round, the HTC One M9 is the loser of this head to head review. The Galaxy S6 and iPhone 6 won four rounds each, but for us the Samsung handset has a definite edge. Featuring a superior display and better camera, battery and general performance the Galaxy S6 is currently the best smartphone out there. The Galaxy S6 has won five rounds to the iPhone 6's four, making the Samsung handset the winner of this versus review. Featuring a sharper display, better camera, longer battery life and superior front and back cameras, the Galaxy S6 is one of the finest smartphones ever made. However, housing a more original metal design, future proof software and improved security, there is still plenty to like about the iPhone 6. The edge alone is a cool addition that adds some neat functionality, but it’s hard to see it as a huge advantage - it’s just a cool little innovation at the moment. If you want an Android phone that adds that cool factor with overall very solid performance, the S6 edge is the one to get. The iPhone 6 still has the advantage of more apps and games, as well as the perfected iOS 8 experience. For most other things, there is parity – you really can't go wrong with either of the two phones. Apple has nothing to prove, especially to HTC. Already, the iPhone 6 is a highly coveted and sought out smartphone that’s always in demand by consumers all around – and there’s no surprise that it’s a big seller too! HTC knew what it had to do in order to keep pace and stay relevant against the iPhone 6, but even though it’s able to impress in some areas, namely its software experience, design, and call quality performance, the overall package doesn’t quite have the necessary firework to give demanding consumers the kind of spark to draw them in. This was a shootout between four phones, but the real question is whether the Samsung Galaxy S6 has improved over its 2014 predecessors. A full year divides the Galaxy S5 and S6 and between them there was distinct improvement. The Galaxy Note 4 is more recent and benefits from some of the same camera improvements that the S6 boasts, most notably, the Sony IMX240 sensor and the optical image stabilization. The S6 retains the style of a Galaxy S flagship, but Samsung has tackled plastic build quality complaints head on with a new metal chassis and Gorilla Glass 4 front and back. You could even argue that this Samsung smartphone looks a teeny weeny bit like an iPhone 6. Indeed, the bottom of the Galaxy S6 is very similar to the iPhone 6 with drilled holes for the speaker, a central USB port and the headphone jack. The Samsung is ever so slightly thinner, though - just 6.8mm against the iPhone's 6.9mm. Funnily enough, Samsung made a few jibes at Apple at its launch event, pointing out that this super-thin phone won't bend. The iPhone 6 is a solid, well-designed update to the iPhone 5s with key improvements in several very important areas, including battery performance, display size, imaging and LTE support. The iPhone 6 is a thorough pleasure to use. An iPhone with a larger screen works very well indeed, so much so that we wonder why Apple didn't do it sooner. But the question is: has Apple done enough? In some respects, we'd say they have: battery life is excellent, the display largely superb, the camera as good as any we've seen bar the Lumia 1020, and when it comes to performance, the iPhone 6 kicks every other smartphone on the market into touch. The Apple iPhone 6 is a pleasure to use. An iPhone with a larger screen works very well indeed, so much so that we wonder why the company didn’t do it sooner. But the question is: has Apple done enough? In some respects, we’d say it has: battery life is excellent, the display largely superb, the camera as good as any we’ve seen bar the Lumia 1020, and when it comes to performance, the iPhone 6 kicks every other smartphone on the market into the long grass. Having won three rounds outright and tied in two, the Xperia Z3 is the winner of this three-way review. The unique, water-resistant design, great battery life and stellar display make the Xperia Z3 one of the best smartphones we've ever seen. However, the iPhone 6 is just a whisker behind it, winning two rounds and tying for a further two, and is £10 cheaper. And offering slightly faster performance and more up-to-date software there is still plenty to like about both the iPhone 6 and Nexus 6. Winning four of this comparison review's rounds outright, Apple's first phablet is the undisputed winner. Featuring a luxurious metal design, stellar screen, wealth of enterprise security services and above average battery, the iPhone 6 Plus is a great smartphone for anyone in Apple's ecosystem. That said, for those embedded in ecosystems outside Apple's, there is still plenty to like about Google's and Samsung's phablets, which both feature superior rear cameras and an equally impressive array of enterprise productivity services. The iPhone 6 and Nexus 6 won three rounds apiece, but for us the Apple handset remains the safer bet for enterprise customers. This is largely due to the iPhone's smaller dimensions, which make it more comfortable to use for the majority of people than the phablet sized Nexus 6, and robust security. The iPhone 6 will appeal to fashionistas, lovers of the iOS ecosystem and those who aren't too concerned about how much they spend on their smartphone. For the more frugal among us, the Z3 Compact is the better option, and will also appeal more to keen smartphone photographers/videographers (though the iPhone 6 doesn't do a bad job here either), klutzes (me included), Android users, audiophiles and PlayStation gamers. Having won four rounds to the iPad Mini 3's one, the iPhone 6 Plus is the clear winner of this head-to-head review. Featuring a crisper display, more up to date design, improved A8 processor and reworked camera sensor, the iPhone 6 Plus is an excellent device. However, it's important to note that many of the rounds resulted as draws owing to the two devices' inherently different uses. The iPhone 6 Plus is definitely a phablet, unlike devices such as the Asus Fonepad, but it doesn't function as a full-on tablet replacement. Samsung Galaxy Note 4 vs iPhone 6 comparison review: How does the iPhone 6 fare against Samsung's best Galaxy? For me this is a no-brainer. Samsung's Galaxy Note 4 is a little pricier than the entry-level iPhone 6, but it works out better value when you take into account storage and the fact its price will quickly fall. It has a better screen, better connectivity options, better battery life, a better front camera and although it might not be as fast as the iPhone 6, it's certainly fast enough. Which smartphone is the best - the Google Nexus 6 or Apple iPhone 6? We put these two handsets head to head in our Nexus 6 vs iPhone 6 comparison to help you decide. Due to the large difference in screen size, it's hard to come to any conclusions about which smartphone is better - not least because the Nexus 6 hasn't even launched and we've yet to put it through its paces. Almost hard to believe, the Google Nexus 6 and Apple iPhone 6 bear the same outright price point of $649 – though, you get 16GB of storage with the iPhone 6, and 32GB with the Nexus 6. Determining a victor is rather tough, especially when there’s not a single phone that greatly proves to deliver the better performance over the other. With that in mind, we can certainly agree at the very least, that you won’t be disappointed picking up either of them. As we stated in our review of the iPhone 6 Plus, Apple's two new devices are very similar in terms of the experience they deliver, with only the screen size setting them apart. Thus, users can choose the screen size (and physical size) that suits them better, without feeling as though they've compromised by picking a lesser device either way. In the Android world, larger phones tend to hog all the best features, and "mini" versions are almost always cut down. It’s great to see an iPhone finally come with a larger screen as it makes typing, reading and Web browsing more intuitive. The iPhone 6 will please Apple fans as it offers a faster yet familiar user experience, has a great display, a market-leading camera, and excellent call quality. On the downside it lacks real innovation, it’s not waterproof, you can’t expand the storage and you can’t use NFC for transferring data. On the downside, the iPhone 6 lacks in features compared with rivals. For example, it’s not waterproof, you can’t expand the storage and you can’t use NFC for transferring data. Also, despite the improvements in iOS 8, it’s sill not as flexible as Android. If these are things that matter to you, consider other alternatives such as the Galaxy S5 or the LG G3. If you are already an iPhone user and are unhappy with the screen size, the iPhone 6 is worth the upgrade. But iPhone 5s users, in particular, won’t find much of a conceivable difference in terms of the overall performance. The Motorola Droid Turbo is one of the most powerful Android devices ever made, ready to overlook elegance in favor of raw silicon power, and the latest specs. In this, it reminds us in many ways of computers dedicated to gaming, down to their masculine looks - the Droid Turbo is like a little armored soldier, with its Kevlar back and durable materials. We’re happy to see the Droid Turbo is a little spec madness: with top performance, and a Quad HD 5.2” display, all subject of geek wet dreams. The Droid Turbo is close to being the perfect phone for that geek audience, and in this line of thought, it’s a pity that the phone only arrives on Verizon Wireless. Apple's devices have always been about premium design combined with good performance. Not the iPhone 6 though. Apple seems to have stumbled in the effort to make its iPhone bigger. The new device is all performance and though it sports a good design, it's not the amazing design that we've seen before. It's still one of the best iPhones till date though and if you thought that the iPhone needed a bigger screen, then go ahead and buy this. While the Galaxy S5 and iPhone both won three rounds - although one of the Samsung handsets was technically a tie with the One M8 - for us at V3 the Apple handset is the overall winner. Even though the Galaxy S5 can theoretically feature more storage, has a longer battery life and better camera, the iPhone 6 countermands this for enterprise customers by offering improved security and better assurance that it will be able to receive future software updates. The Sony Xperia Z3 Compact and the Apple iPhone 6 are two of the best smartphones for people looking for a reasonably sized mobile sidekick.The Sony Xperia Z3 Compact has little competition in the Android market where most flagships are larger, but when comparing it to the iPhone 6, it goes short of breath in a couple of areas. Coming to the end of the head to head it has been a close fought battle, with the iPhone 6 and G3 both winning three rounds and the Galaxy S5 two. However, as enterprise and business reviewers for us here at V3 the iPhone 6's advanced security features and more robust future-proof potential to receive iOS upgrades make it the safer choice for corporate users and win it this versus review. Having won four rounds to the Galaxy Note 4's three, the Apple iPhone 6 is the current top dog in the enterprise smartphone space. Offering superior security, more storage options and an elegant yet robust design the iPhone 6 is one of the best smartphones ever released. However, featuring a wealth of productivity-focused software additions, superior camera and stellar battery life, the Galaxy Note 4 remains an excellent choice for any one seeking an alternative to Apple devices. 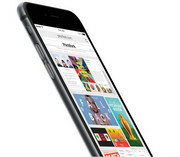 Winning five of the 11 categories, the iPhone 6 has come out as the overall winner. Its superior design with the larger build and 4.7in screen, along with the more comfortable to hold casing, make this is better phone to use for anything from making phone calls to watching video. However, despite the fact it is now over a year old, the iPhone 5S still wins out for its lower pricing and its usability for those with smaller hands. And in areas like performance and security, where the improvements on the iPhone 6 are negligible, these aren't enough to make a compelling case for an upgrade. The iPhone 6 and Galaxy S5 are two very different smartphones with iOS and Android remaining the big difference. Other than this there's the price, design, storage and additional features to consider. Pricing alone indicates that these two smartphones are competing head-on against one another, where it’ll cost consumers $200 to pick them up on-contract. If we’re to look at what they offer on paper, from a specs sheet and features set standpoint, it’s almost certainly obvious that the Samsung Galaxy Alpha would garner more attention – more so considering its software experience proves to be more diversified than iOS 8. Not only that, it has a premium design that matches its high-end quality, which was lacking in the past with Sammy’s devices. Instead of deciding what's right or wrong, Apple is now ready to deliver what the users are asking for. The iPhone 6 is bigger, yet thinner than its predecessor. Its design may not surpass the charm of the iPhone 5s, but is still one of the best in the industry. The camera and music quality are also great. So if you're planning to buy a top-end smartphone this Diwali, the iPhone 6 is definitely a great option. However, if you're already using the iPhone 5s, better hold on to it. It's impossible to tally up a final score for this but that was never the point - as usual, the point is to help different users pick out the phone that's right for them. The super mini playground is not as empty as it once was and these three phones are excellent picks at three different price points. The Sony Xperia Z3 Compact is the most affordable of the bunch so it celebrates each of its victories a little louder than the other two. The Apple iPhone 6 meanwhile is easily the most expensive one and has the most to prove, yet its fans are rarely swayed by such mundane details such as pricing. Indeed, the Note 4 has quite a bit going for it, granted that you're ready to stomach its chubbier profile. The Note 4's screen is not only much larger, but also proved to be the one that is better, more true-to-life (even if not by far), and its arsenal of extra features works well with it. The Note 4's camera is also more flexible, and image quality is right up there with the best – in fact, outdoor shots during the day ended up slightly better than the iPhone 6's. Its optical image stabilization mechanism also helps you record shake- and tremor-free footage. But perhaps the biggest advantage of Samsung's latest device is its far superior battery life – a very valid concern with most of us. I love the subtle changes made to the latest design. The clarity of the display is very impressive, but if you are not put off by a bigger chassis then you may wish to opt for the iPhone 6 plus, which features a full 1080 HD resolution. The other issue for me is the price. Apple’s retail price for the iPhone 6 is £539 and £619 for the 6 Plus, which is on the expensive side in what is an increasingly crowded marketplace. However, when it comes to quality and design, in my opinion, there is nothing to rival the iPhone 6 on the market at the time of writing this review. The iPhone 6 and iOS 8 are both similar to earlier incarnations, but the new handset and the new mobile OS offer plenty of new functionality too. Taken together they make the iPhone 6 a great example of how to maintain the familiarity of previous releases while delivering significant enhancements (and iOS 8 adds many more new features than we've covered here). Overall there's enough on offer to entice existing iPhone owners to invest in an upgrade, and plenty to attract converts to the iPhone ecosystem. We saved the best for last, though, and it is the remarkable battery endurance of the Xperia Z3. Its “two-day battery” is the best in the flagship category for now, and this got confirmed through our own benchmarks, too. Thus, if you are tired of charging your smartphone each and every night, which would happen with the iPhone 6, the Xperia Z3 should be on top of your list. The larger screen, long battery life and great performance more than make up for minor niggles like certain features not being available in the UK. While the iPhone 6 isn't the cheapest smartphone out there, Apple has reduced the cost compared to the iPhone 5S, so buyers get a better model for slightly less, and the pricing is comparable to other high-end flagship models from rivals. The iPhone 6's best features are clear: it looks slick, feels great and performs gracefully. This A8-powered handset can handle any task you throw at it, and its crisp 4.7-inch Retina HD screen makes me glad Apple made the decision to finally go bigger. If you're an iPhone user who has always been jealous of the larger phones in your friends' pockets, this is the device for you. My experience with the iPhone 6 ends like I expected it to. The phone was impressive in battery life, camera, display, and performance categories, but I was ultimately left frustrated by the intricacies of iOS 8 that differ from Android. From Settings and Notifications handling to the silos that still exist while developers get their apps ready for Extensions to that damn physical home button. It’s obvious that Apple has created an experience that they feel is the best for everyone, except they forgot about the tinkerers of the world and those of us who want ultimate control, who want to customize a phone’s experience, and who don’t want to be told that their phone should be used a certain way. Our iPhone 6 vs HTC One M8 comparison shows us that Android phones are now every bit as capable as iPhones, although not in this case sufficiently different or better to make us want to switch. The HTC One M8 enjoys excellence in design and build, is a top performer and has a beautiful display. Storage options are limited, but an expansion slot is a bonus. If you are an iPhone user it is unlikely you will decide to upgrade to the HTC One M8 rather than the iPhone 6, but if you want to move from iOS to Android you could do a lot worse. Apple doesn’t have to do a lot of fighting in the space, just because its iPhones continue to be at the top of the charts. Month after month, smartphone after smartphone, it simply has the rounded appeal and performance to be a choice winner amongst consumers. Considering all things, it makes plenty of sense why the iPhone 6 is already finding itself in a similar position of being king of the hill in the smartphone space. Heck, if we’re to objectively tally its performance in all key categories, there’s absolutely a lot more going for the iPhone 6. While most articles surrounding the iPhone 6 and iPhone 6 Plus this far have focused around user experience and larger screen sizes, performance, and in particular the effect of Apple's transition to the 20nm process node for the A8 SoC have been our main questions regarding these new phones. Naturally, I decided to put my personal iPhone 6 though our usual round of benchmarks. The 4.7-inch screen makes the iPhone 6 a very different proposition if you have an iPhone 4/4S/5/5S. The extra real-estate offers a great benefit that Android users have been enjoying for years now and comes with the added benefit of the best apps around, which will take full advantage of the extra space. One-handed use isn’t quite as intuitive, but it's nothing like using some of the Android giants; the iPhone 6 is slim and narrow enough to make life easy unless you have very small hands. The iPhone 6 is Apple’s best phone yet – but we expected nothing less. It might not be a design classic like the iPhone 4 or iPad mini, but it nevertheless looks and feels great. Like the 5S before it the iPhone 6 manages to do everything with aplomb – it has no serious weaknesses. This whole package is what really makes the iPhone such a great choice, and the excellent hardware is just another bonus. The iPhone 6 Plus might have the slightly more detailed screen and OIS, but its size means that it isn't for everyone. 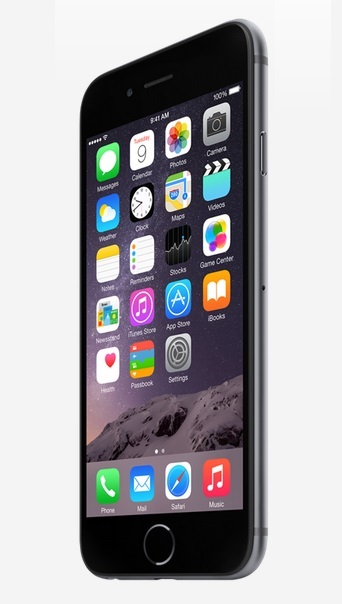 For the perfect, all-rounder, every-day phone for most people the iPhone 6 is the best choice. If you're wondering if you should upgrade from an older phone, read our iPhone 5S vs iPhone 6 comparison. We say “near-perfect” because there’s certainly room for improvement here. The fourth- and fifth-generation iPhones were stunning pieces of hardware design, and the iPhone 6 doesn’t quite live up to that legacy. Add to that the few bumps and bugs we found in iOS 8 (along with the spectacular failure of its 8.0.1 OTA update) and you’re reminded that, for all its vaunted precision, the iPhone is, in some ways, just another smartphone. It’s also a particularly expensive one: as the Nexus 5 and OnePlus One demonstrate, you can find devices of similar or greater capability for much less. It shouldn't come as a surprise that there is some rather capable competition to the iPhone 6 from all sides. As usual, most of the phones its size are even better equipped hardware-wise, but that has never bothered Apple. iOS and its powerful app ecosystem (not to mention the reputation) are a powerful leverage that the company is not afraid to use year after year. Despite its few relatively minimal flaws, Apple has once again made a compelling case to upgrade to its latest and greatest. The iPhone 6 also presents the strongest argument yet for switching (or switching back) from Android. iOS and the iPhone hardware have been reconceived for the better, and there are a few exciting things just around the bend with Apple Pay and Apple Watch. The iPhone 6 is a premium experience focused on simplicity, and if that's your bag, you're going to love this phone. The closest Android competitor on AT&T is the 2014 Moto X, and it's a really tough call between the two of them. I'm happy to let both co-exist as Editors' Choices: I prefer Google Now to Siri and Android's widgets to iOS's app grid, but the iPhone's camera just crushes the Moto X's, and the iPhone's design is even more luscious. The Samsung Galaxy S5, meanwhile, has a brighter screen and sturdier frame, but falls behind those two phones on elegance. There’s much to like about the iPhone 6. The design, screen size and customisable keyboard are leaps forward. The camera remains one of the best all-round snappers on the market and iOS 8 brings numerous useful updates. However, there are downsides. The biggest problem remains the fragility, lack of RAM and sealed in battery. A larger, sharper and brighter -- but still one-hand-friendly -- 4.7-inch display, a sleeker design and a faster processor all combine to make the iPhone 6 a solid device. If you're looking to stay in Apple's ecosystem, the 5.5-inch iPhone 6 Plus has a better camera and longer battery life, but many will prefer the iPhone 6's more manageable size. Fantastic 8-megapixel camera with improved low light performance, super fast shutter speed, and jaw-dropping 1080p video capture. Zippy overall performance. Surprisingly light and thin. One-handed usability isn’t so easy, despite onscreen workarounds. Phone design is so slick it’s almost slippery. iOS 8 suffers from multiple, regular bugs at this point. After years of letting Samsung, HTC and LG, to name a few adversaries, boast about having larger smartphone displays than it, Apple’s finally fighting back with the iPhone 6. There’s no doubt the iPhone 6 is the best iPhone to date. Every new iPhone is the best iPhone (yes, I even loved the 5c). It’s not like Apple’s going to make the new iPhone worse. The iPhone 6 is faster, runs the new iOS 8, but most importantly has a larger, higher resolution display. Finally. Two great smartphones toward the top of the tree, if you are an Apple fanboy you will wish to stay iTunes and the App Store. Fandroids will swear by the Sony on this one. Unusually, Apple is marginally cheaper, but the Xperia Z3 is ahead on almost all quantifiable metrics. That's where we would put our money, principally because of the expandable storage, better display and more robust build. But the iPhone 6 is a big step forward for Apple, and it is by no means a bad deal. It's really difficult to give a verdict on the iPhone 6. If you are an iPhone user, and you specifically want an iPhone, it is the best yet. As such it is a slick, well-built, beautifully designed handset. Performance is good, the display is good, and the iOS eco-system is, well, good. The difficulty lies in quantifying the value of the iPhone 6 in the wider market. Step over to the Android world and you could get a similar experience with a better display for a lot less money. And you could expand the storage. There is no question that these days there is better value in the Android world, but value isn't really the point with an iPhone. iPhones are great, and the iPhone 6 is the best yet. If you are dedicated to using an Apple phone, it should be your next handset. iPhone 6 vs LG G3 comparison: the best smartphone of 2014... but which one? When value is taken into consideration the LG G3 is the best handset on the market right now. It matches or bests the iPhone 6 in all quantifiable metrics. Ultimately the decision is based on two subjective things: build quality and design, and the Android platform vs the iOS ecosystem. If you are an iPhone user and you like iOS and iTunes, it seems unlikely that the saving of a few quid would make you switch sides to the LG. But if you did it is unlikely you would be disappointed. If you thought Apple’s iPhone line represented the best smartphones in the world before, hold onto your hat. As was expected, and as is expected each and every year, Apple’s newest flagship iPhone is better than its predecessors in nearly every conceivable way. It’s thinner, it’s faster and it’s is more sleek than any iPhone before it. It's clear that if you're on the lookout for a new smartphone now, the iPhone 6 will be a much better investment, seeing that you'll be getting a phone that improves on the 5s' experience in almost every way, with the exception of one-handed comfort. Naturally, the smaller handset will be easier to handle and use, but there's obviously a lot to gain from having a larger screen. That is why many users will be willing to sacrifice a bit of comfort for a significantly larger diagonal. Plus, the new iPhone 6 is not really pushing things too far. If you’re looking for one of the truest smartphone experiences around; one that ensures the key cornerstones of what make a phone great are rock solid and one that surprises and delivers in areas you didn’t know you needed the iPhone 6 is a great choice. It’s the iPhone you’ve been wanting after, even for those who’ve never owned one before. With all things said, which one should you pick: the new iPhone 6, or the LG G3? Both are great flagship devices, but if price is your main concern than the LG G3 definitely has the upper hand: its prices range from free to $50 on a two-year contract, or $490 when you buy unlocked. The iPhone 6 on the other hand starts at $199 on a 2-year contract, or $649 when you get it off-contract (the T-Mobile version is also unlocked and free to use internationally). It is never easy to pick a favorite among phones that have so much to offer. One thing's certain, however – whether you pick the iPhone 6 or the HTC One (M8), you will receive your money's worth in exchange. You just need to know what your priorities are when making the choice between these two great models. When it comes to design, the two phones stand in the same league with their meticulously crafted metal bodies. But the iPhone 6 is definitely the more compact one with its slim and lightweight construction. The M8 might be larger and heavier, but its offers a bigger screen with higher resolution and a pair of great front-facing speakers. The iPhone 6 Plus is Apple's first foray into the phablet borderland, and it impresses on most counts. It brings everything you can expect from an iPhone in a much larger package – the build is as premium as ever, and the screen is bright and very accurate. In contrast, the Note 3 has a not-so-impressive plastic body, but it has replaceable battery and microSD slot. Note 3's AMOLED screen is not color-accurate, though many love the oversaturated hues it produces. The race to the top is always a competitive one, where companies are constantly reinventing their phones in order to keep up the pace. Apple, naturally, doesn’t believe in the specs war – where successive phones employ the beefiest of hardware to earn the acclaim of being the biggest and baddest thing on the block. Oh no, that’s not like Apple at all! Rather, they focus on producing a smartphone that’s not about the specs, but mostly on the performance in how it complements our life. Combined with new options to reply to messages (including audio snippets) directly from the lock screen, this makes the iPhone 6 an even more practical daily companion. Another practicality is that old chestnut of micro SD storage expansion or the lack thereof. It will remain a sticking point for many but it certainly doesn't seem to have affected sales. But Sir Jony was right: the 5 was more comfortable in your hand. We're Macworld, and we love Apple products. But even we accept that in the smartphone world Apple's rivals are catching up. In the case of this rival, however, we can't see many compelling reasons to choose the Xperia Z3 over the iPhone 6. Cameras, perhaps. Display, definitely. But although the Xperia is more robust than the iPhone it isn't as pretty, and in all other respects - including price - we'd choose the iPhone 6. If you're looking for desirability, then you can't go wrong here. Android and iOS is the biggest difference here and it's worth noting that the iPhone 6 is behind the HTC One M8 in many specs even though it costs more. The king is dead, long live the king: the new iPhone 6 is everything we’ve come to expect from the annual Apple smartphone upgrade – new look, retuned OS, refined camera. The difference is that this year, that new look is the most stylish in years and that OS’s functionality has been buffed within an inch of its life. The genuinely longer battery life that comes as a bonus with the bigger chassis is nicely unexpected. When I first picked up the iPhone 6, I thought this was going to be a hard review to write. Had Apple just changed the shape but kept the same inherent problems? Was there really enough new to make it a phone that really helped the company leap forward? The answer is: the iPhone 6 is a brilliant phone. It's the first time I'd even consider using an iPhone as my daily device, thanks to the larger screen, better keyboard and most importantly upgraded battery life. iPhone 5s vs iPhone 6 comparison review: What's the difference between iPhone 5s and iPhone 6? It's still a great phone, with specs and features that should satisfy most. Of course, the iPhone 6 is even better, but you'll now save £80 if you opt for the older phone. The iPhone 6 is the logical step-up for iPhone owners and one that upgraders and disillusioned Android users will come flocking back to, now that the small screen size issues that were troubling Apple have disappeared. There is no doubting that the new iPhone is a lovely device with plenty to offer and a leap forwards in design and power. It's one of the big match-ups of the year so here's our iPhone 6 vs Samsung Galaxy S5 comparison review. The iPhone 6 and Galaxy S5 are two very different smartphones with iOS and Android remaining the big difference. Other than this there's the price, design, storage and additional features to consider. We can't give our full verdict on how the iPhone 6 compares with its predecessor until it's released and we get our hands on it, but we can tell you that it's likely to be even better than the iPhone 5s, with a new design, a bigger screen, a better camera and other new features. Check back on 9 September for our full iPhone 5s vs iPhone 6 comparison review. That being said, I love the hardware: it's sleek, gorgeous and incredibly well built. The way the glass subtly curves to meet the aluminum casing shows its quality, with tolerances and materials that make many rival phones feel cheap and toy-like. While the iPhone 6 may not have the densest pixel count or biggest screen, the display still hits high marks as one of the best LCDs available on mobile devices, featuring great viewing angles, as well as vibrant and uniform colors (even in direct sunlight).